11 LA anchor Christine Devine and will benefit LA County foster youth and their families. benefit and to honor them both for their tireless efforts to help foster youth achieve great heights. resources, knowledge, skills, love, and support they need to reach their full potential. 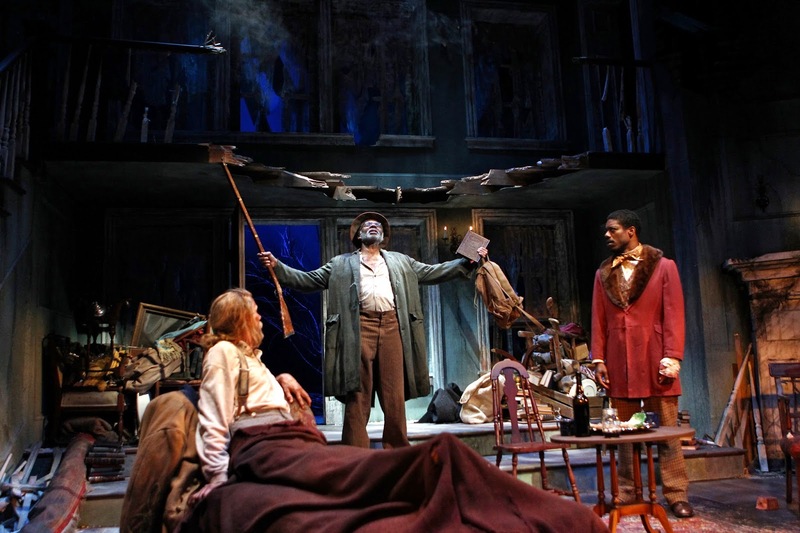 to attend world-class live theater productions and workshops at Los Angeles’ finest theaters. LOS ANGELES (March 1, 2015) - Emmy Award® winning FOX 11 LA News anchor Christine Devine will host Cops 4 Causes “Golden Ticket” Show featuring “Frank Marino’s Divas Las Vegas” on March 13, 2015 at 6 PM. Show benefits LA County foster youth and their families. “Christine Devine is a tireless advocate for foster youth. Her work with “Wednesday’s Child” which highlights children in need of loving foster homes is truly commendable. Christine also is a huge supporter of the art’s and theater here in Los Angeles. We cannot think of a better choice to host our Inaugural Benefit for our Golden Ticket Program and Cops 4 Causes is honored to be joined by this remarkable woman, leader and humanitarian ” stated Cops 4 Causes President, Deputy Christopher Landavazo. For this special evening, Vegas’ “Longest Running Headliner” Frank Marino brings his star- studded “Frank Marino’s Divas Las Vegas” show to Avalon Hollywood marking the first time the iconic female impersonator has brought his glamorous act featuring send-ups of Joan Rivers, Cher, Diana Ross, and Beyoncé to Los Angeles. Proceeds from the evening will benefit Cops 4 Causes “Golden Ticket” initiative which will provide monthly opportunities for foster youth, their foster/adoptive families and/or 1st Responder members to attend world-class live theater productions and workshops at Los Angeles’ finest theaters. Tax-deductible tickets for the Golden Ticket Benefit featuring Diva’s Las Vegas ($25 - $400) are available now at www.Cops4Causes.org. About Christine Devine: Christine Devine is a veteran television news anchor/reporter at KTTV in Los Angeles. She co-anchors the FOX 11 News at 10 pm Monday through Friday evenings. Christine is also the host of Wednesday's Child. The Wednesday's Child adoption segment has aired on FOX 11 since 1995, helping more than 700 children from foster care find forever families. Christine's passion is empowering young people to believe in themselves and find their unique gift within. Christine authored an autobiography "Finding a Forever Family, A News Anchor's Notebook." She also has written articles for Fostering Families magazine. She is the recipient of 16 Emmys, including the prestigious Governors Award, from the Academy of Television Arts and Sciences. 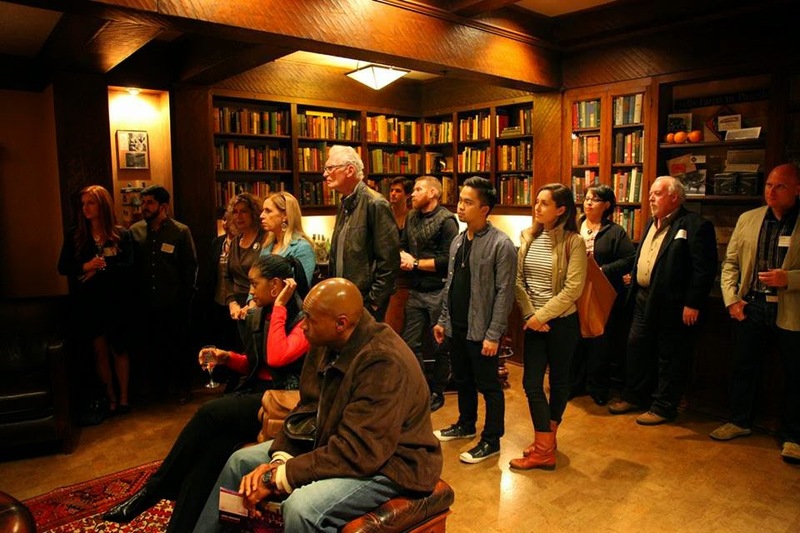 February 27, 2015 Los Angeles: The Cops 4 Causes Board of Directors would like to thank each of you for joining us at The Pasadena Playhouse for our special kickoff to our Golden Ticket Program in support of LA County Foster Youth. In addition to being joined by by The Pasadena Playhouse's Associate Artistic Director Seema Sueko and Community Organizer Victor Vazquez, we were blessed to have members of our Department of Children & Family Welfare Services (DCFS),American Legion Post 43, and LA County Law Enforcement & Fire Departments. Special thank to Division Chief Harvey Kawasaki (DCFS) for his introduction and short presentation about the youth our program will serve. As mentioned, each of you were invited with a special purpose-TO JOIN US IN OUR EFFORTS to help enrich the lives of our foster youth in LA County by supporting our program. 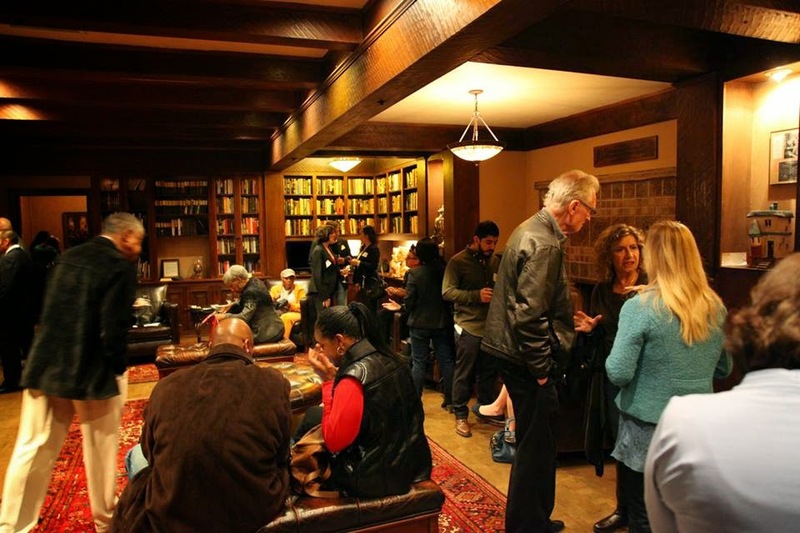 Cops 4 Causes cordially invites you to be our guest at The Pasadena Playhouse Thursday, February 26, 2015 for a special kickoff to our Inaugural Golden Ticket Benefit in support of LA County Foster Youth. Tickets include a VIP hosted reception & great seats for the award-winning play- "THE WHIPPING MAN". In the aftermath of the Civil War, three Jewish men prepare for Passover; a Confederate captain and his two former slaves. On the eve of the Seder, they are haunted by their scarred pasts, hit with the reality of their uncertain future, and ultimately drawn together by the strength of family. We did it! $38,000.00 Thanks to you! On Saturday, January 31st, over 500 members of police, fire, military, friends and community residents came together for one cause-To Help Save 6 year-old Cody's Kidney Transplant. You gave to our "Cops 4 Causes Family Fund" and together we raised $38,000.00. 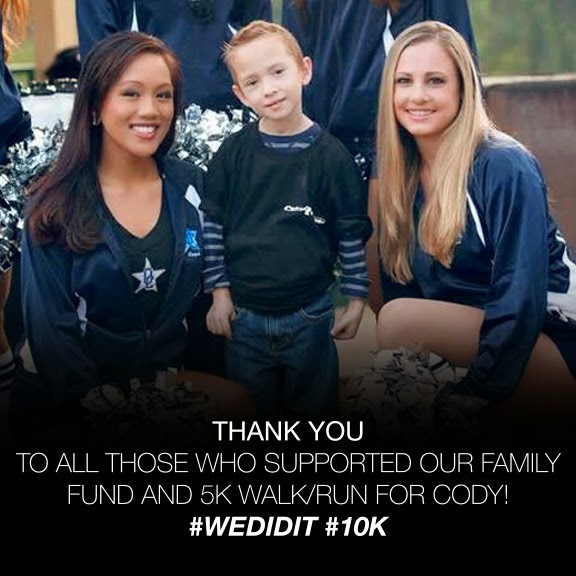 Because of your support, Cops 4 Causes is able to pay Cedars-Sinai$10,000.00 for the life-saving anti-rejection treatments for Cody. Cops 4 Causes will also be able to continue to help other children of 1st Responders in the future with the additional funds we raised- THANK YOU! Cops 4 Causes Honorary Board Member Sheriff Jim McDonnell writes: In the past two months I have served as your Sheriff, I have spent much of my time coming to appreciate how enormous a county we serve and how many incredible people work within our organization. As I have visited some of our stations throughout the county and met many of you (with thousands more still to meet), one thing I have repeatedly said is how important I think it is that we celebrate our successes and those who bring honor to our organization. And I am very proud that today I have the opportunity to share a huge success with you, which you might have also seen in the national news. Yesterday, Deputy Jenna Underwood-Nunez received the United States Public Safety Officer Medal of Valor – the highest such award in the nation – at a ceremony at The White House. 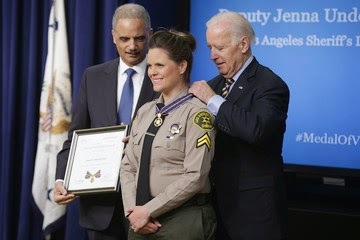 The award was presented by Vice President Joe Biden and Attorney General Eric Holder. Deputy Underwood-Nunez—Jenna to many of you—is a six-year veteran of the Department. She joins the ranks of approximately 100 public safety officers who have received this honor over the past 13 years and was the only officer from California to receive the award this year. Her story has received attention nationwide and perhaps you have read it, but all the same, there are some details which did not make the news that I’d like to share with you now. On April 27, 2013, Deputy Underwood-Nunez, assigned to the Century Regional Detention Facility, was 5 ½ months pregnant and off-duty dining with her family at the Silverwood Lake campgrounds when she heard a distress call coming from the lake. She looked toward the water, saw splashing approximately 100 yards from shore, and determined that someone was drowning. Without hesitation, and placing herself at tremendous potential risk, Deputy Underwood-Nunez immediately ran toward the drowning victim to provide assistance. Fully clothed, Deputy Underwood-Nunez leapt into the water and swam toward the victim, where she found a young man shouting for help. The true victim was his 17-year old brother who was already fully submerged approximately 15 feet below and near the bottom of the lake. Our Deputy Underwood-Nunez immediately dove under the water, pulled the victim hundreds of feet to the shore and initiated emergency life saving measures to restore breathing. After Jenna administered several cycles of CPR, the teenager regained consciousness and was airlifted to a local hospital. Thanks to the heroic actions of Deputy Underwood-Nunez, the 17-year old high school student made a complete recovery. They have stayed in contact to this day. When we found out that Deputy Underwood-Nunez would be receiving the nation’s Medal of Valor, I wanted to personally inform her of the great news. I had her Lieutenant tell her to report to my office. Put yourself in her position: Deputy Underwood-Nunez had no idea why she was being called to the 4th floor at Sheriff’s Headquarters. I gave her my usual fist bump greeting and shared the wonderful news with her that her heroic actions were going to be recognized not only within the Department, but across the nation. Deputy Underwood-Nunez said she was humbled and honored to receive this recognition while working every day among so many other brave and dedicated public servants. Many of you have saved people’s lives and put your own life at risk on a daily basis. We all know that is part of our job and that heroes don’t think they have done anything special. Deputy Underwood-Nunez’s selfless actions are a powerful example of the dedication and service-over-self-attitude found in our Department. Her humility in the face of this award is our tradition at its finest. Her actions were heroic and bring honor to us all. Thank you for what you do every day. Moments like these are a reminder of the high values that each of you possess and the high caliber of personnel that make up such an outstanding organization. With that in mind, I invite you to honor, and see some of the terrific news coverage regarding, one of our own. (Los Angeles –January 11, 2015) Cops 4 Causes announces that it will host a 5K Walk/Run for the son of a LA County Sheriff’s Deputy on Saturday, January 31, 2015 at Frank G. Bonelle Park in San Dimas. Deputy David Misch’s son Cody, who is now 6 years-old, was the recipient of a kidney transplant at age 2. His body is currently rejecting the kidney. Cops 4 Causes is trying to raise $10,000 to pay for treatments not covered by insurance to keep his kidney from failing. Unlike weekly HEMO-dialyses treatments, the experimental treatment would last 6 months and Cody would undergo one treatment a month, for an hour each time. Each treatment is $50,000.00. However, Cedar Sinai has offered the Misch family a cash option and offered to provide all 6 treatments for $10,000.00. The Misch family has asked Cops 4 Causes to help them raise the funds needed to provide Cody with a chance at a normal life. Cops 4 Causes invites all walkers and runners to join them to help Cody Misch. Walkers/Runner can register to walk or run on-line at www.cops4causes.org. COPS 4 CAUSES is the first law enforcement, non-profit organization to be created to collectively highlight the philanthropic efforts of law enforcement. Our organization is comprised of all levels of peace officers, public safety officials, and friends and family of law enforcement who seek to raise funds and awareness to give back to our communities, support our military troops & veterans, and to aid families of law enforcement officers killed or gravely disabled in the line of duty. (Los Angeles –January 13, 2015) Cops 4 Causes announces it will be joining the efforts of the Albuquerque Police Department to help aid Officer Lou Golson. Saturday, January 3, 2015, around 2:30 a.m. DWI Officer Golson conducted a traffic stop with a vehicle suspected of DWI. Officer Golson approached the vehicle and the suspect shot at him hitting him multiple times. Officer Golson returned fire. Albuquerque Police have determined the car the suspect was driving was stolen from a local car lot. DWI Officer Golson is a 31-year veteran of the Albuquerque Police Department. He has served in various units, but is currently assigned to the DWI unit. Officer Golson is a valued asset to the Albuquerque Police Department and has shown his dedication to the department and the community he has served for over 31 years. Cops 4 Causes President & Founder, who grew us in New Mexico, stated, “It is a honor for our organization (Cops 4 Causes) to be asked to help Officer Golson, his family and the Albuquerque Police Department in this time of great need. This is a true tragedy and it reminds us just how dangerous this job is. It is also a reminder to the communities we serve that the price police officers sometimes pay to keep our citizens safe can be very high.” He further stated, “We wish Officer Golson a speedy recovery and we hope that the citizens of Albuquerque will join with us in support of his recovery. Not only is Officer Golson an incredible officer, but he is also a loving husband, father, and role model. Officer Golson has taught his children the importance of contributing to society in a selfless manor, and due to the integrity he has instilled within his children, several of them have taken the task of making a difference in the community by following their father in a career law enforcement. Officer Golson has undergone surgery for the injuries he received from his selfless act of protecting his community. His injuries were very serious and his recovery is expected to be a long process. His future will require other surgeries with rehabilitation in order to gain motion and relearn activities of daily living in order to fully recover and return to full duty with the Albuquerque Police Department. Cops 4 Causes invites the community of Albuquerque to join our efforts to support Officer Golson’s recovery by making a donation on-line to our “Fallen Heroes Fund” at www.cops4causes.org. Like Cops 4 Causes, First Fold was built with a commitment to remembering and honoring the heroes who have sacrificed their lives to preserve life and our freedom. It is an honor to have garnered the support of First Fold to support our Cops 4 Causes Fallen Heroes Fund and our Heroes Helping Heroes program to help the families they have left behind. 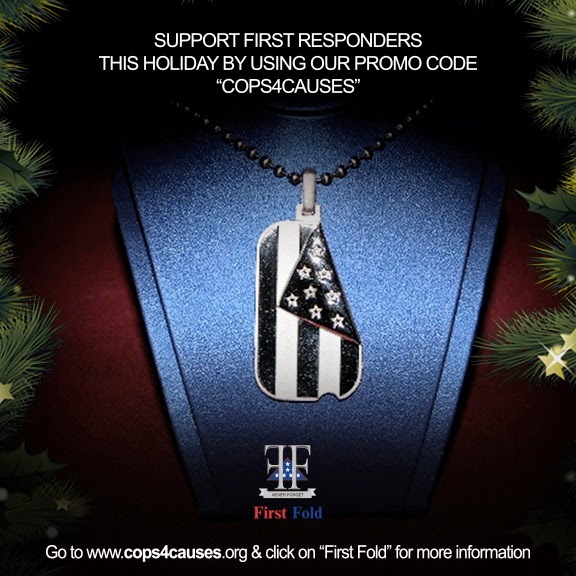 You can join us in supporting these families and fallen heroes this holiday season by giving the gift of a First Fold pendent and using our promo code "Cops4Causes". In return, as our partners at First Fold will donate 40% of the proceeds back to our Fallen Heroes Fund. Please take a moment to browse their site at www.FirstFold.org and read about the military personnel, firefighters and police officers who have so bravely and graciously sacrificed their lives for ours. And this holiday season, give the gift that will help us support our fallen heroes. A special thanks to Major General James Comstock, USAF (Ret.) for First Fold's support. Bone marrow transplants can save lives, but the lack of Latino donors is making it difficult for Latino patients, as well as those of mixed ethnicity, including that of a baby named Jack. Mekahlo Medina reports for the NBC4 News at 6 on Saturday, May 17, 2014 at the Cops 4 Causes #SwabForJack drive.